Polished and perfectly rounded to fit in the curve of your palm, these stemless champagne flutes look stunning on any tabletop. 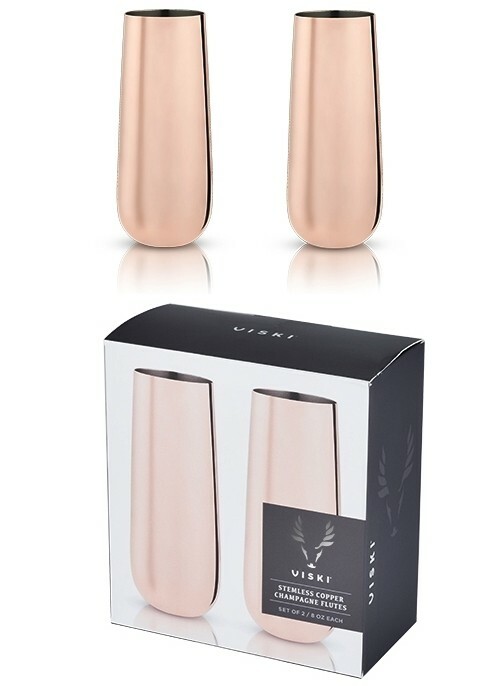 Gleaming copper-plated stainless-steel catches the light, evoking luxury and warmth. PLEASE NOTE: Sold as sets of two (2) and prices quoted below are per set. "My good friend told me about your site when she showed me the bridal favors she purchased from you. I LOVE your website and have placed my order for inexpensive wedding favors. I can't wait to receive them." Rosalind N.